What is Pasha Hour International? Pasha Hour International is many things rolled into one, which makes it difficult to say exactly what it is. But briefly, it is a radio program about Islam, Muslims and the world – unlike any. That makes it also a program about all things not Islam; about all people not Muslim; and about all that lies beyond the borders of the world as we know it today. In its essence, Pasha Hour International is sociology, in the biggest and broadest sense of that expression, in both theory and methodology. At the same time, it is also psychology – and literature; and philosophy; and political science. And it is science; and statistics. And research methodology, quantitative as well as qualitative – anecdotal as well as with roots in hard and systematic data. It is humanities and social science both at the same time. It is history as well as anthropology, just as it is also “religion,” once again in the biggest and broadest sense of that term. And Pasha Hour International is about communication in all forms and at all levels, such as intrapersonal communication, interpersonal communication, and mass, mediated and specialized communication. In fact, it is fair to say that it is nothing if not international and intercultural communication right down to the bone at one of the most sensitive points in human history, when our planet is in peril and when nations, cultures, societies and civilizations are at each other’s throats. Pasha Hour International is an effort to open up new channels of inter-group and interfaith dialogue, just as it is an attempt to build bridges of understanding, tolerance, acceptance, accommodation and cooperation among stakeholders representing different races, religions, cultures, philosophies, ideologies, nationalities, ethnicities and genders. It is a clarion call for a new alliance of cultures and civilizations around the world, based on truth, justice, fairness and equality for all. 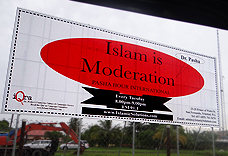 Over and above everything else, Pasha Hour International is a forum for peace, love and hope for humanity. It is a way for all of us, with our different beliefs and practices, to celebrate the rich diversity that God Almighty has blessed his creation with. It is a call to all to resolve their disputes through the peaceful means of negotiation and communication, just as it is also an invitation to everyone everywhere to inch ever closer to one another and share with each other what is held in common by different groups and segments of the human race. At the same time, Pasha Hour International is really a sincere and genuine attempt to make sense of the world to a lot of people who may be looking for something over and above the daily doze of spin provided by the media, political voices rampant in our midst, social and religious entrepreneurs and purveyors of sundry other causes and issues. When you roll all these things into a neat package, Pasha Hour International is what you would call Islam. And when you pare off from Islam all the personal whims and cultural accretions people may have added over time, then Pasha Hour International is Qur’an, pure and simple.